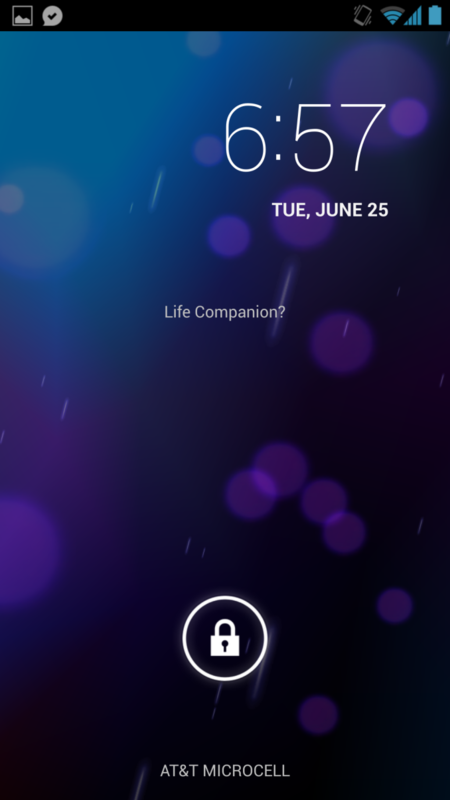 As mentioned before the SGS4 GPe includes a few subtle UI changes beyond completely stock. 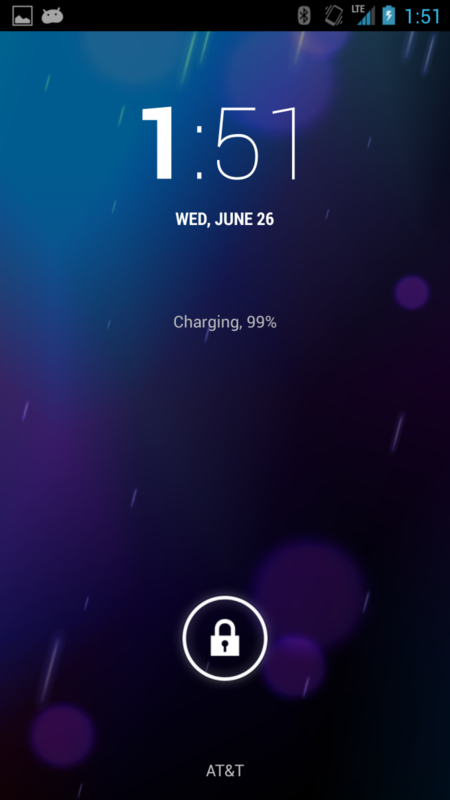 In addition to the black background with no gradient thing, it also supports the S-View Flip Covers, which necessitates a different lock screen. I noticed this almost immediately since it isn’t styled at all like the stock lock screen with its heavier weight hour digits and centering. The tradeoff is the same behavior with the flip cover as the normal SGS4 which is perhaps one of the coolest new features of the device. I tested with my Flip Cover and everything worked like I remember it working on the normal SGS4. Something that isn’t noted but shared between the two is a feature which I know will make a few people happy. Samsung’s ServiceMode (*#0011#) Field Test application is still thankfully present, which exposes all of the network connectivity details I’m craving, like LTE channel bandwidth, band, RSRP, RSRQ, and a few others. Oh also the temperature, humidity, and barometer sensors are all still there. I know this was something a few speculated would be gone, but there they are. The features that are unique to the SGS4 that I haven’t mentioned aren’t there. Obviously all the Samsung-specific features which require Samsung apps like Air View, Air Gesture, and S Beam are gone. Likewise there’s no Smart Stay or Smart Scroll or Multi Window. None of that should be a surprise since it isn’t a part of AOSP and thus wasn’t ever going to get included. I can't say I miss any of that. Likewise the display mDNIe settings are absent on SGS4, there’s no adapt display screen mode settings or auto adjust screen tone settings, and no toggle for high touch sensitivity. The tradeoff is that I honestly kind of always loathed the mDNIe settings and auto screen tone slider and overaggressive brightness policing that Samsung included. 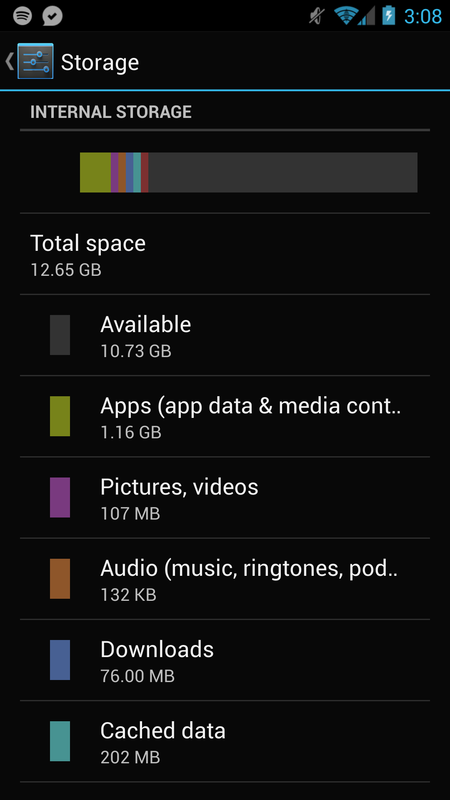 Although the SGS4 GPe includes a functional microSDXC card slot, the balkanization of SD card support on Android leaves it only marginally useful here. The stock camera app for example cannot choose the SD card as a storage target, which is my major use case for it beyond acting as a Spotify offline cache. Likewise application location is how it was before the recent SGS4 update that enabled moving apps to SD cards – it’s not there. Basically if you want to use the SD card you’re left to third party applications and use as a dumb storage location for movies and other offline media. That said the big improvement on the storage front is a lightweight preload compared to the bloated SGS4, with 12.65 GB of the 16 GB usable on SGS4 GPe. I miss Samsung's camera application, but more on that later. A curious change between the SGS4 and SGS4 GPe is the behavior of the physical home button. Long pressing on the button triggers the multitasking app switcher interface on the stock SGS4. Doing so on SGS4 GPe triggers Google Now. To get into the app switcher you have to quickly double tap the home button. It’s taking me a while to get used to that button change, so much so that right now every time I want to use the multitasking window I inadvertently launch Google Now. Google apparently feels strongly enough about Google Now being long-press Home that it's willing to mix that behavior up. Also absent are the power saver options which change the governor on the CPU. Finally support for the IR Tx/Rx functions and BT 4.0 APIs that are Samsung’s own are not there. BT 4.0 (Smart Ready) will no doubt come with the next release of Android as discussed during I/O. 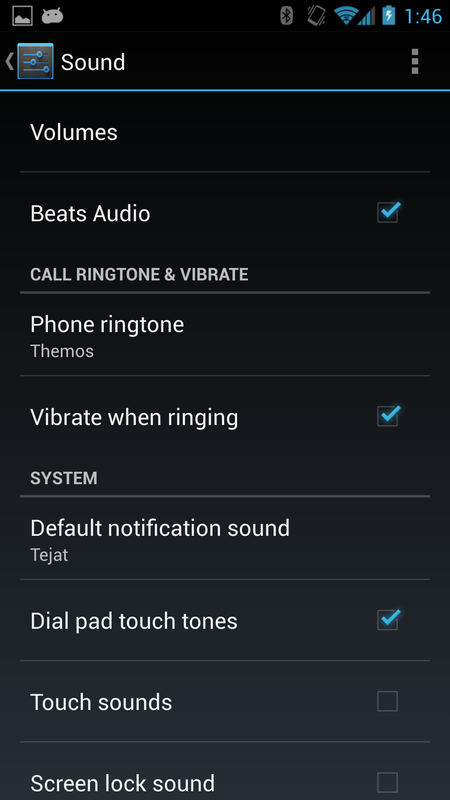 Lastly there’s different vibration unit tuning of course and notification LED colors for some things. One of the headliner features of the HTC One is the Beats experience, branded as BoomSound. The BoomSound experience really is the branding for everything audio on the HTC One, but what thankfully is surfaced on the GPe One is the Beats toggle under Audio. This software component controls the DSP and software features, and things like impedance matching for Beats headsets. HTC’s UltraPixel camera tuning and features like OIS are likewise enabled. This isn’t super surprising since that’s largely a matter of kernel support and the right hardware, which is unchanged. HTC’s camera tuning is there however. The features that are unique to Sense 5 are obviously absent. 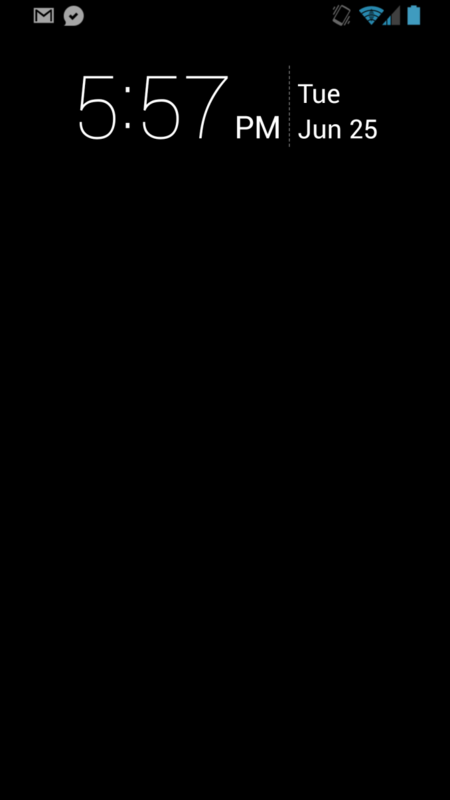 BlinkFeed which was useful from time to time (even though I always changed my home screen to a widget pane rather than BlinkFeed) is not there. Obviously all the Sense 5 UI styling (widgets, themes, icons) are gone as well. The custom gallery with Zoes and the Highlights reel, a huge part of the HTC One imaging experience isn't there either. 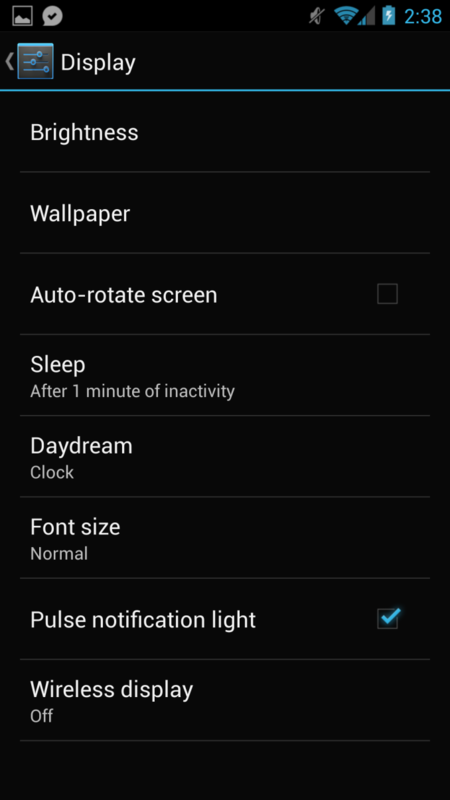 Auto Sleep display timeout isn't included, nor are the backup features which HTC made. I definitely miss the Sense 5 camera application, but again, more on that later. Likewise the power saver and sleep mode options which I used religiously on the normal HTC One is obviously gone on the HTC One GPe. The result is a possible battery life delta between the two. I never noticed much of a performance difference with it ticked, and appreciated the increase in battery longevity. Finally just like the SGS4 GPe, support for the IR Tx/Rx functions and BT 4.0 APIs that are HTC's own are not there. BT 4.0 (Smart Ready) will no doubt come with the next release of Android as discussed during I/O. I'm not sure what Google's plans are to address the API situation for IR Tx/Rx. I'm not totally positive, but I believe support for Bluetooth A2DP Apt-X codec is absent as well. Lastly there’s different vibration unit tuning of course and slight behavior changes to the LED color during the charging curve.